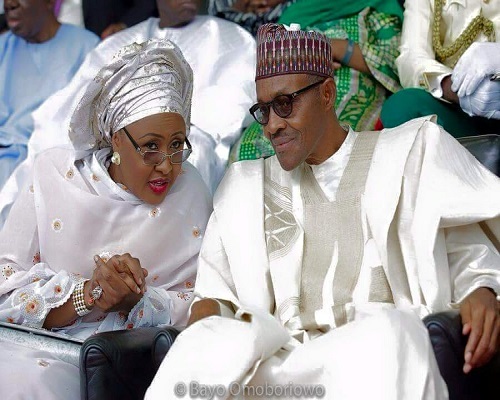 President Muhammadu Buhari has challenged his wife, Aisha, to prove the existence of a cabal that she claimed is in control of his administration. The president’s wife had in an interview with the BBC in 2016 threatened to withdraw support for her husband if he chose to seek re-election unless he shakes up his cabinet and includes more people who worked for his success in 2015. Mrs Buhari said although the victory of the APC in 2015 ”was a collective effort of millions of people” she said ”only for us to find out that the government is being operated by a few people”. While addressing a gathering of APC women in Abuja recently, Mrs Buhari accused Nigerians of allowing two or three unnamed persons to “cage” her husband, thereby limiting his ability to perform. Mrs Buhari, known for her intermittent fiery public rebuke of her husband, said although over 15 million Nigerians voted for Mr Buhari in 2015, “only two or three persons have since taken control of the government”. She did not name the individuals or elaborate on her claims. The president responded to his wife in an interview with the Hausa service of the Voice of America shared on Tuesday. Reminded that his wife and others have consistently claimed the existence of a cabal running his government, Mr Buhari simply said: ”that is her business”. He went ahead to say the fact that people including his wife make such claims proves his democratic credentials. The short video released by the VOA is a teaser. The whole interview is expected to be aired soon.